Podcast: Play in new window | Download (Duration: 9:10 — 4.2MB) | EmbedSubscribe: Apple Podcasts | Android | Email | Google Podcasts | Stitcher | TuneIn | Spotify | RSSWhat do Jehovah Witnesses believe? They say that they are Christian and believe the Bible, but they have views that do not match the Bible. Podcast: Play in new window | Download (Duration: 2:00 — 939.4KB) | EmbedSubscribe: Apple Podcasts | Android | Email | Google Podcasts | Stitcher | RSSAnother big difference between Jehovah Witnesses and the Bible is their view of end times. They believe that the soul does not last forever. Podcast: Play in new window | Download (Duration: 2:00 — 939.4KB) | EmbedSubscribe: Apple Podcasts | Android | Email | Google Podcasts | Stitcher | RSSThe Jehovah Witnesses claim that they do not have a works-based salvation. However, they state that works are required before salvation. What is sin in Jehovah Witnesses? 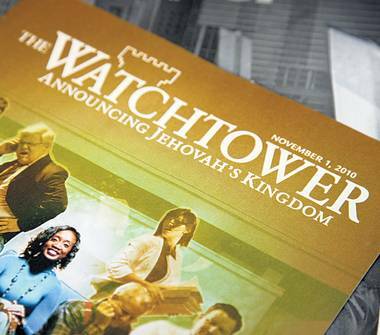 What is the afterlife in Jehovah’s Witnesses?